I told Mary that tonight is a time to be happy. As we wait to go see a play, I think again of that little house, the small window, the piece of sky with two birds and one squirrel. How much has come to pass since then. One evening in 1865 President Abraham Lincoln sits quietly in the White House. He is waiting for his wife, Mary. Tonight they will go to the theater to see a play. It has been a long time since the President has allowed himself an evening of rest. While he waits, he thinks back on his life and the long journey from a small log cabin in Kentucky to the stately White House in Washington, a journey filled with the greatest joys and the deepest sorrows. Extraordinarily moving text and stunning, historically accurate paintings join together to present a fictional portrait of one of the most revered figures in American history. Ann Turner is the author of many novels, picture books, and poetry collections for young children. Her novel A Hunter Comes Home was an ALA Notable Children's Book, and her first picture book, Dakota Dugout, received the same honor. 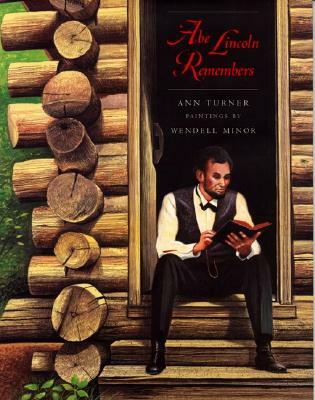 Among her other books are Abe Lincoln Remembers, an NCSS/CBC Notable Children's Trade Book in the Field of Social Studies, and Through Moon and Stars and Night Skies, a Reading Rainbow selection. Ms. Turner lives in Williamsburg, Massachusetts, with her family.